The 2012 Fiat 500 minicar started out as one model: a three-door hatchback. 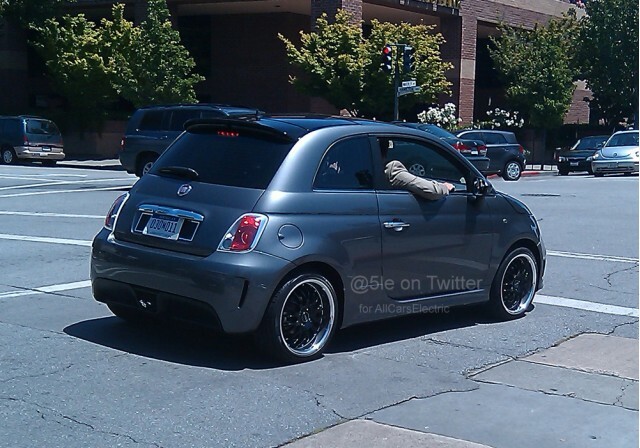 That was followed by a cabriolet (500C) with a roll-back cloth roof, and then the turbocharged 500 Abarth sporty model. Next up in the lineup may be the electric Fiat 500, which Car and Driver says will be dubbed the 500E. We think that's a smart name, certainly better than the early "500 BEV" (for battery-electric vehicle) the concept was saddled with at the 2010 Detroit Auto Show. It's also likely easier to read and pronounce than the "500 Elettra" seen on the road more than two years ago. Chrysler said in March 2010 it would build an electric version of the 500 in small volumes. More recent test vehicles were spied on roads near Detroit last autumn. Fiat's American partner is doing the engineering to fit a lithium-ion battery pack, and what's said to be a 75-kilowatt (100-hp) electric motor driving the front wheels, into the little hatchback to replace its 1.4-liter four-cylinder engine. 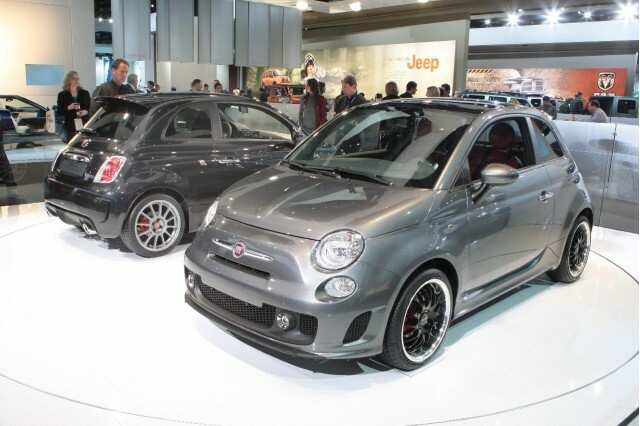 But the Fiat 500E will hardly be a high-volume member of the growing 500 family. Its role is strictly as a compliance car that will satisfy California's zero-emission vehicle mandate, which comes into effect during the 2012 through 2014 model years. Chrysler says it expects to lose up to $10,000 on each 500E. 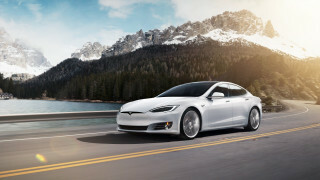 But it has confirmed that it will offer hybrid and plug-in electric cars, in small numbers, in the years to come. The electric Fiat 500E will be far from the last variation on the 500 theme. There are rumors of a 500T, for turbo--essentially a sportier 500 but without the styling and badging flourishes that differentiate the Abarth model. Fiat dealers need more to sell than multiple variations of a very small three-door hatchback, and they're going to get them (as have MINI dealers over the past decade). Next year, we'll get the larger Fiat 500L five-door hatchback that's already been shown in Europe. It actually shares very little except design cues and an engine with the original 500. It will be followed by the Fiat 500X all-wheel drive crossover, a version of the front-wheel drive 500L with higher ground clearance and more truck-like trim. We also expect that at some point, there will be a Fiat compact sedan--or perhaps hatchback--built on the same underpinnings as the 2012 Dodge Dart that's just now arriving at Chrysler-Dodge-Jeep-Ram dealers across the country. And that's doesn't even get into the likely return of Alfa Romeo to the U.S. market as well. That's another story altogether. Meanwhile, the electric Fiat 500E is expected to be unveiled this fall--perhaps at the green-themed Los Angeles Auto Show in October--or early next year. It will go on sale as a 2013 model. 2013 Fiat 500X: Previewed On Video, Full Details Soon?